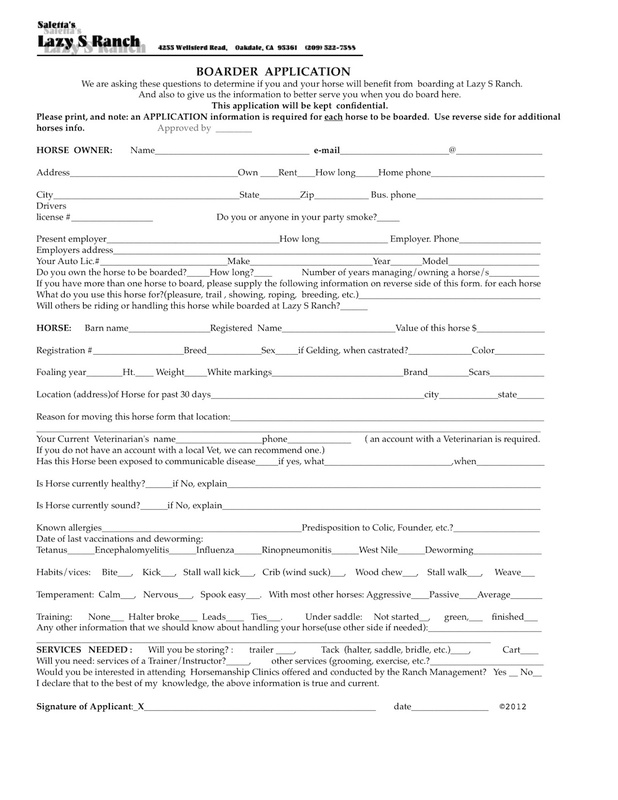 Click on the application for a printer friendly size to Copy and Print. Fill in the information requested. Or: Visit and tour the Ranch and pick up an application. Visitors are always welcome with an appointment. NOTE: An approved Application is required for all boarding at Lazy S Ranch. back.